Home » Employee Engagement – A Management Fad or Puzzle? » Blog » Employee Engagement – A Management Fad or Puzzle? It varies from fair to extraordinary. Every year, HR professionals and technology experts try to decode the ‘employee engagement riddle’ and analyze it from different business perspectives. 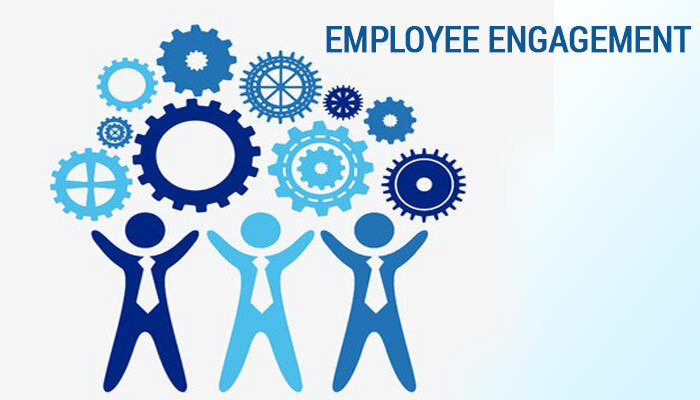 In this blog, let’s have a quick look on two studies focused on the employee engagement. In its report, Aon Hewitt reveals financial implications of an engaged workforce. According to the report, a 5% increase in employee engagement is linked to a 3% increase in revenue growth in the subsequent year. Subsequently using World Bank data, the report establishes a connect between GDP growth and investments in engagement and depicts it through the following graph. The graph shows that GDP growth is followed by investments in people and a subsequent increase in employee engagement. The reverse also appears to be true, as we can see that engagement dips in 2010 following the Great Recession. In addition, the report reveals employee engagement levels by geographic region, where Latin America is maintaining its top position with the highest engagement levels. The Africa and the Middle East region is seeing the greatest positive trajectory, with engagement rising 14 % points since 2012 to 67 %. The report also reveals the varying level of employee engagement by job function. Engagement levels of senior leaders’ and executives’ are 76%. Engagement levels of middle managers are also up by two percentage points to 67 %. Engagement levels of front-line and professional employees remained stagnant at 61 and 54 %, respectively. What does Oracle’s study find about employee engagement? Higher engagement levels improves performance: 56% respondents mentioned that “feeling more engaged at work” makes them more productive and 37% respondents said that “feeling more engaged” makes them less likely to look for work elsewhere, a crucial finding for the HR at a time when relevant skills are in such high demand. The people most likely to make employees engaged or working in Europe are their peers, NOT the HR or their line managers. While it’s encouraging to see coworkers are cooperating and teaming up to perform better, it’s worrying that the employees can’t see how good work their HR department is doing by putting right people at the right desk. This is where analytics and performance management system add value. With the ability to measure the impact of “peers-collaboration” on overall team’s performance, HR people are uniquely positioned in the organization and can quantify the value of improved engagement for the business. Employee engagement is definitely not a fad. Business leaders perhaps acknowledge that it is not just a ‘feel good factor’ to have but critical to achieving desired business results. Any investments in this area would help you in retaining workforce as also make them more productive.